Don't have an emergency fund? You may regret that at some point. Here's how to create a savings plan that will be there for you when and how you need it. Are you prepared for life's unexpected twists and turns? Even if you have a savings plan, you may not be as prepared as you think. Unfortunately, we can never know exactly what life has in store foe us. That is why it is crucial that we expect the unexpected. If you do not have a savings plan that includes an emergency fund then you might regret it at some point. Here is how to be sure that you are ready when there is an emergency. 1. Determine how much you need to save. Financial experts agree that an emergency fund should be at least the amount of living expenses to cover three months. Determine how much money it would take to maintain your standard of living for three months. Then, use this amount as your goal for establishing an emergency fund. 2. Consider your personal circumstances when deciding the amount to stash for an emergency. Someone that has health, dental and pet insurance would not be as likely to need funds to cover "an emergency" as someone who does not. When deciding on an amount to stash away for the unexpected, consider your own personal circumstances. A major health or dental bill can set you back tens of thousands of dollars. If you do not invest in health or dental coverage then you should probably set aside more than if you had insurance to cover these expenses. Likewise, if you have a pet, you never know when your pet will need unexpected care, resulting in a hefty vet bill. If you have a pet an do not have pet insurance, make sure you figure this into your savings amount. 3. Set up an emergency fund account that is easily accessible. Ask your bank or credit union about setting up a savings account that you could access should you encounter an emergency. You might want to provide the name of your next of kin that would be responsible for taking care of your finances should you have a major emergency. 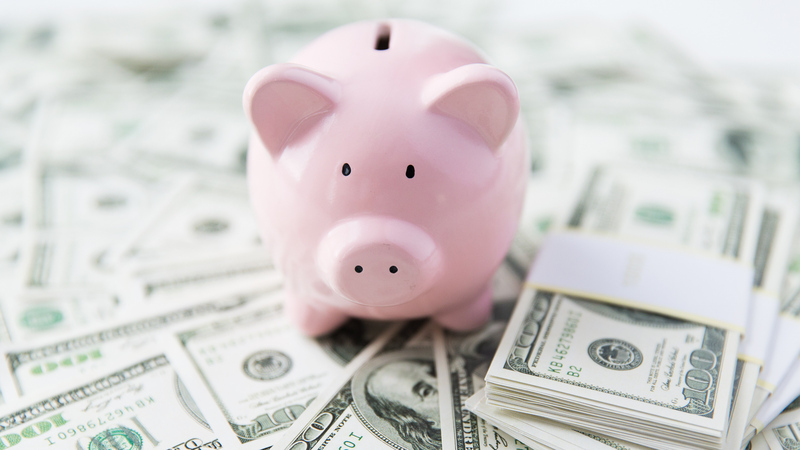 Before you can begin to save regularly, in a dependable and routine manner, you want to have a designated place to store your emergency funds. 4. Use an app to hold you accountable. Today, there is an app for everything, including saving money. For example, Digit makes sure that you save responsibly, without thinking about it. Use an app that helps you in the areas that you need it. Some apps will take a portion of what is in your account and transfer it without you having to worry about the transaction each month. This way, even when you are not thinking about saving money, you are still socking money away in case you need it. 5. Start by saving your pennies for a rainy day. For those who might be new at the saving game, a good piece of advice is the same old adage that we have heard since childhood: "save your pennies for a rainy day". Use a container that makes it easy to drop change into, but difficult to retrieve, such as a bottleneck jug. At the end of each day drop your change into the container, and at the end of the week or month, take the contents and deposit into your emergency savings account. You will be surprised how quickly your unused change adds up. Most often, if you practice this regularly, you won't even miss the change, but you will definitely notice the savings when you get your statement in the mail. Don't wait until there is an emergency until you realize how important it is to save for one. More than likely there will come a time when you encounter the unexpected. Times like these are usually hard enough without having an unnecessary financial burden. Take control of your future by preparing for life's emergencies before an emergency.